I read this article and found it very interesting, thought it might be something for you. 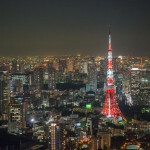 The article is called 15 Crazy Things to Experience in Tokyo and is located at http://trip-n-travel.com/listicle/7009/. 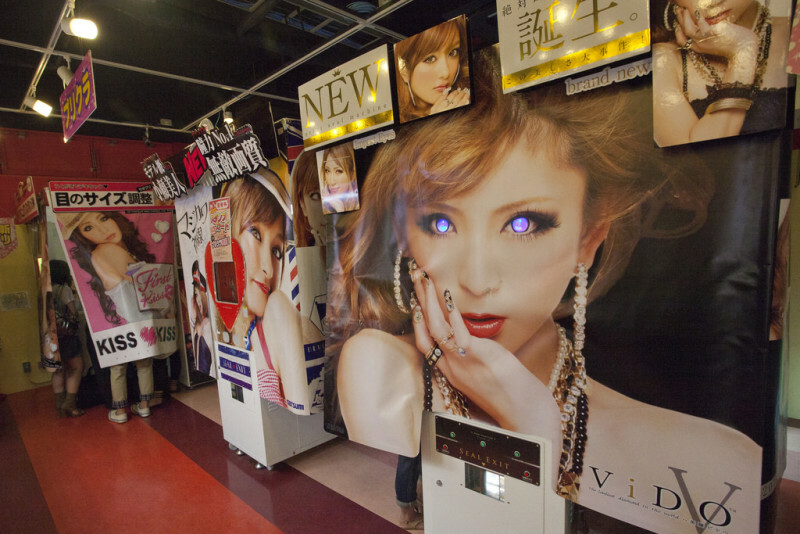 Tokyo is a city with many weird attractions. From unusual fashion to wacky restaurants, you can find a bit of everything there. 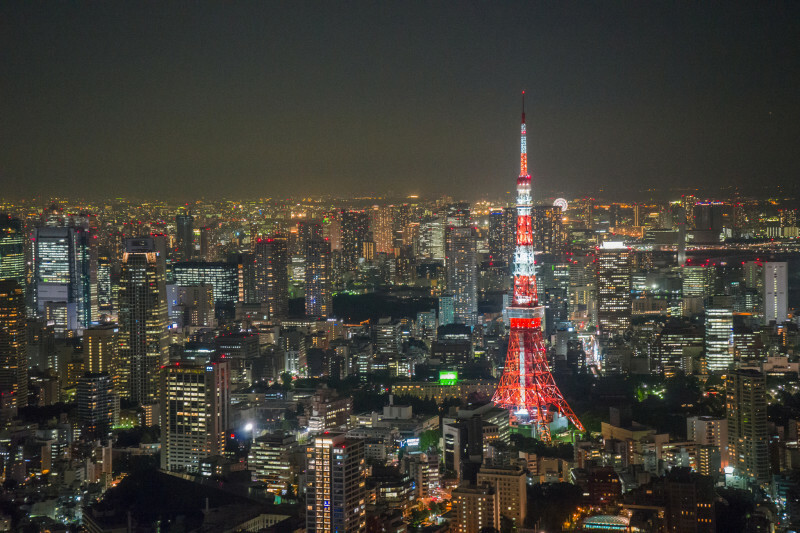 This is why we made a list of 15 crazy things to experience in Tokyo. Definitely, check it out if you’re looking to have a different experience! 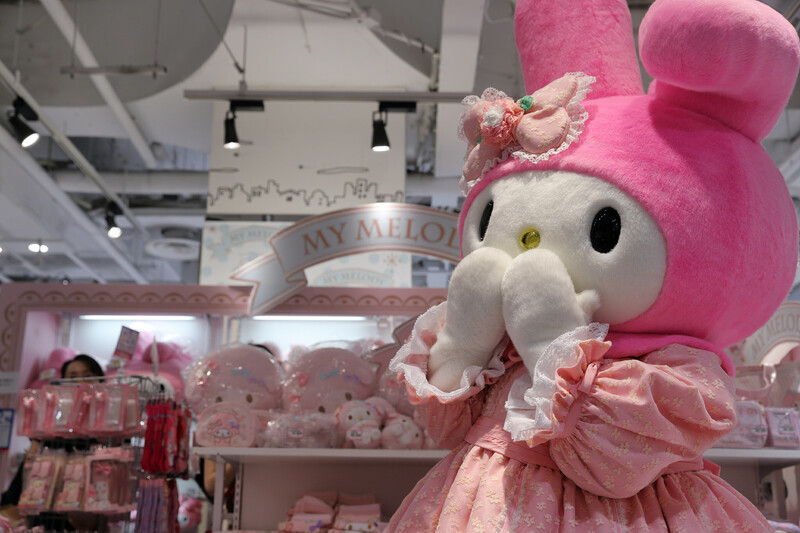 A maid café is a store where girls dressed as maids treat customers as masters or mistresses. The customer is always greeted with “welcome back home!” and then pampered with various types of cute food and drinks like pink smoothies and omelets with heart shapes. Other activities like singing and taking pictures are also included in the service. 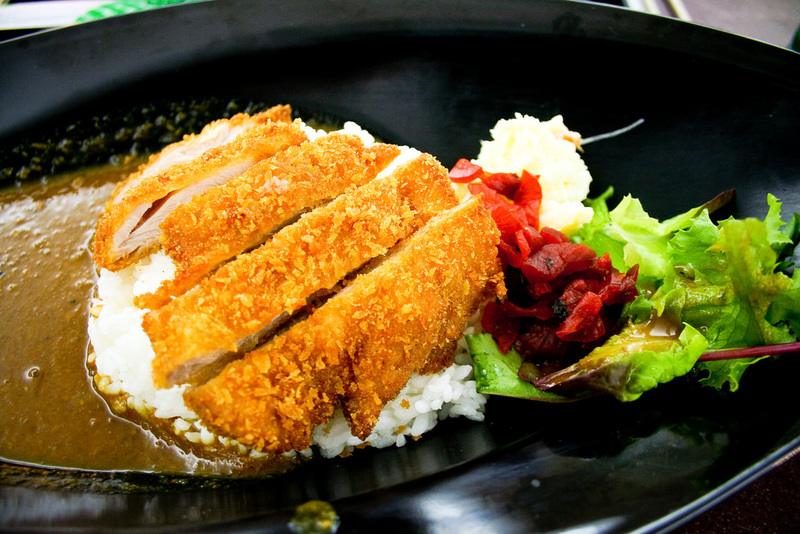 The first maid café appeared in Akihabara and was originally intended for male customers, but has become increasingly popular among females as well. 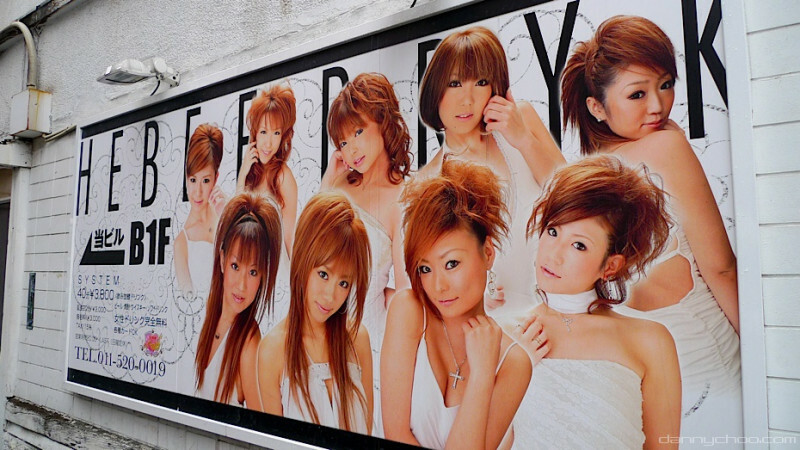 Harajuku refers to an area in Shibuya ward which is a gathering place for various fashion subcultures. 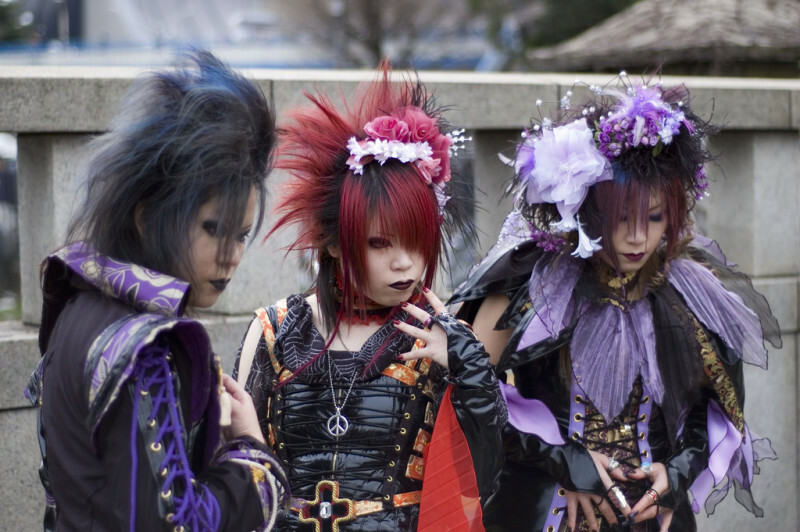 You can see a lot of people with clothes that differ from the norm or people wearing costumes and accessories to represent anime or manga characters. Some people usually walk around to show their clothes and take pictures with tourist. Takeshita Doori, the street in front of Harajuku Station also has various shops with interesting clothes and jewelry related to the area’s fashion. Pet cafes are very popular in Japan. Such cafes were created because most people live in small rooms where they can’t or are not allowed to own a pet. This way they can interact with animals without actually having to own one. 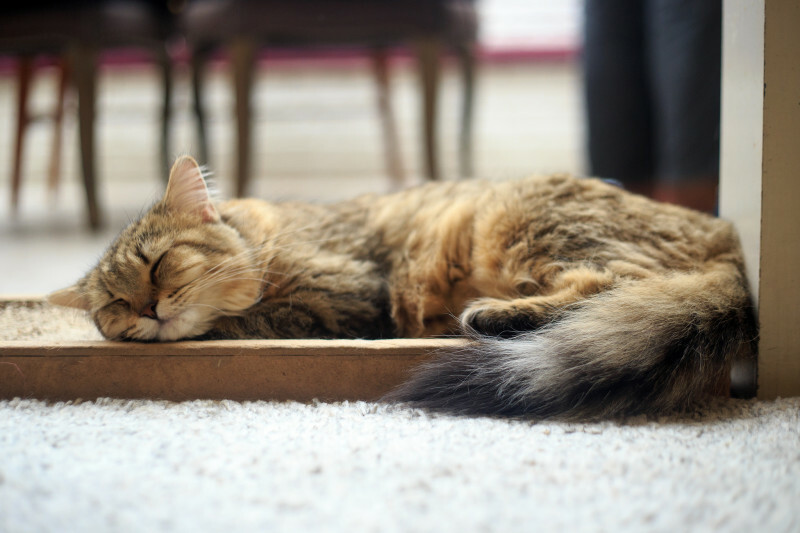 There are pet cafes with several types of animals, from the usual cats and dogs to wackier ones such as llamas, reptiles, goats and owls. For a small fee, you can enjoy some drinks and play with the animals. 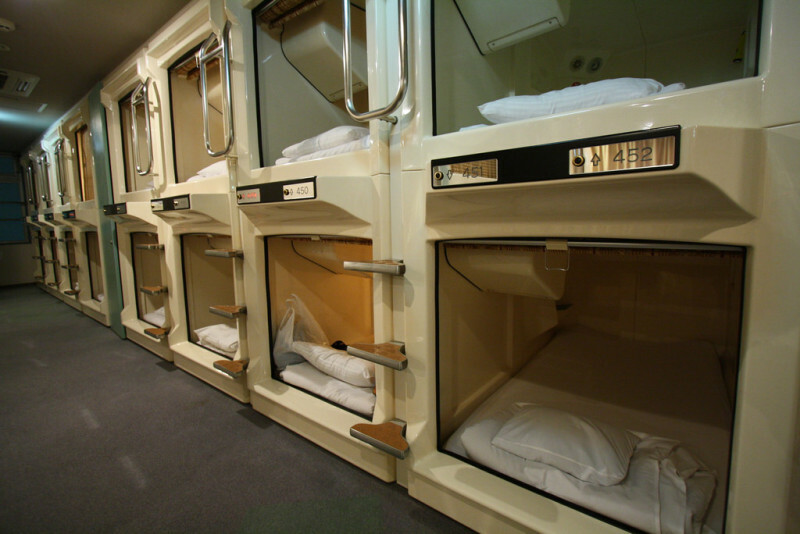 A capsule hotel is a type of hotel specific to Japan that features a large number of capsule-like rooms. The rooms consist of a bed without any place to stand up and were created for guests who require very cheap accommodation without the need of usual hotel amenities. The capsule rooms are stacked in rows next to each other, with steps provided for the upper rooms. They are primarily used by men, but establishments offering rooms for women also exist. 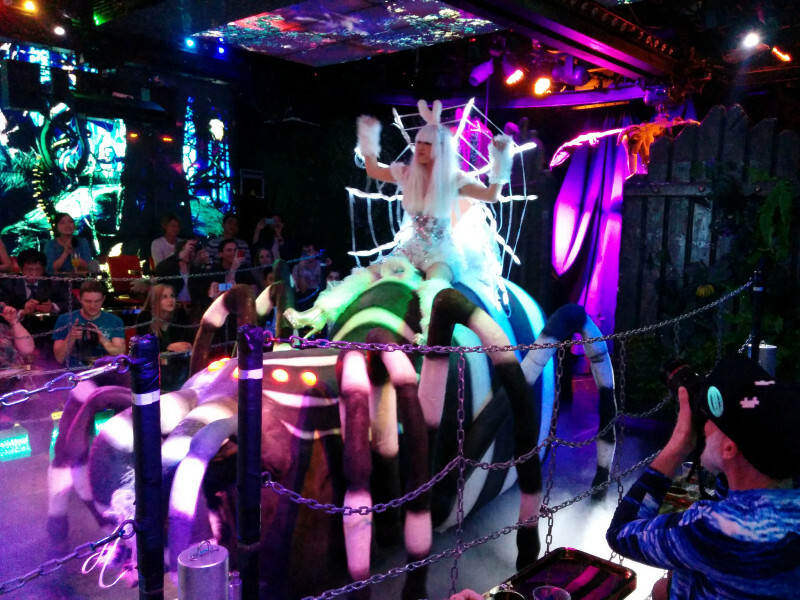 The Robot Restaurant in Shinjuku is quite a crazy thing to experience. Even though it’s called a restaurant, the establishment doesn’t offer dining option besides simple snacks and drinks. But the real attraction lies in the atmosphere and the shows. Each night performances featuring robots and bikini dressed girls are held. The performances include special effects, robot fights, music, and dancing. The restaurant’s décor is also quite flashy, with glittering mirrors and blinding lights. Purikura is a fun booth where you can take pictures with your friends. Priced at around 400 yen per photo session, everything starts with taking a few pictures on a green background. Then you are told to move to a side room with a screen where you can decorate your pictures. Various decorations are available, from sparkling stars and hearts to makeup, glasses, and hats. You can then choose the layout and of the final picture sheet and take your printed purikura. 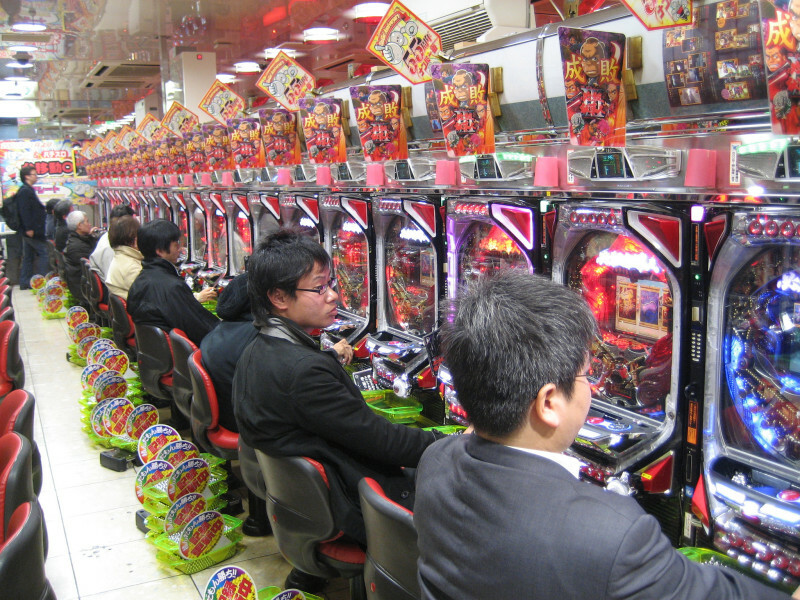 Pachinko parlors are establishments that offer gambling arcade games. They are extremely popular in Japan and look somewhat like a casino. A pachinko machine looks like a vertical pinball game but without the flippers. The machine uses a large number of small balls that that go through several pins. If the balls hit certain places, more balls are released. The purpose of the game is to capture as many balls as possible. The balls are then exchanged for various prizes. 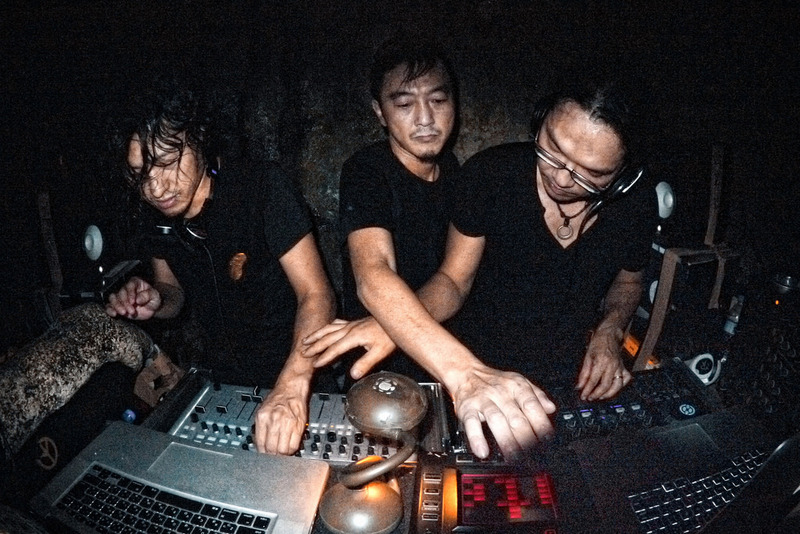 Host and hostess club are part of the night Japanese entertainment industry. The customers pay for a male or female company and are given a list with pictures to choose the host from. The host then will entertain the customer with interesting conversations, drinks and karaoke. Hosts are chosen based on their looks and are ranked by popularity. You will often see hosts on the street trying to find customers. If you’re looking for interesting experiences, give it a try! Sumo is a Japanese type of wrestling where two fighters struggle to push each other out of a circular ring. Being Japan’s national sport, matches attract many watchers. 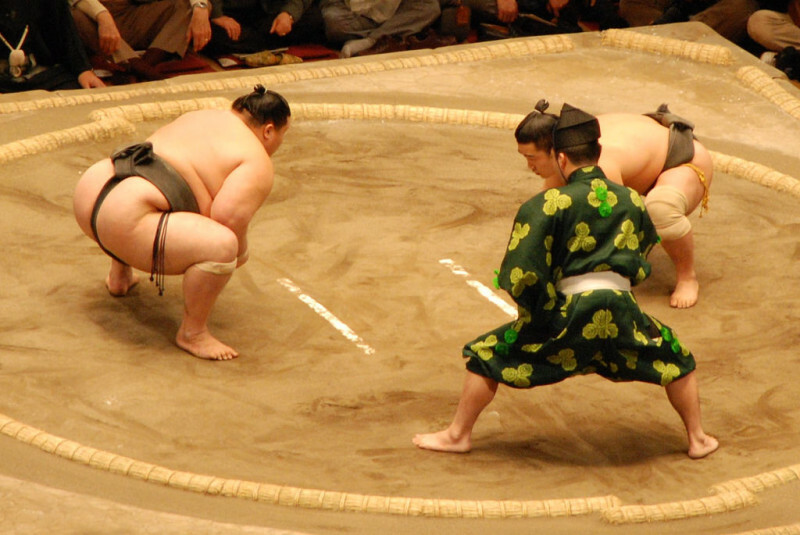 Three sumo tournaments are held in Tokyo every year and each lasts for 15 days, with matches being held everyday. Tickets are sold for each match and can be purchased directly from the vendor, from the stadiums where the matches are held or from convenience stores. Besides attending a match, there is also the option of going to a sumo stable, a place where the wrestlers live and train. You can become a ninja for a day during a private 2 hours workshop at Ninja School in Tokyo. As soon as the workshop starts, ninja clothes and weaponry are provided. Then you are told about the ninja’s history and undergo the “ninja training”. You are taught how to calm your mind and immerse yourself into the world of shinobi. 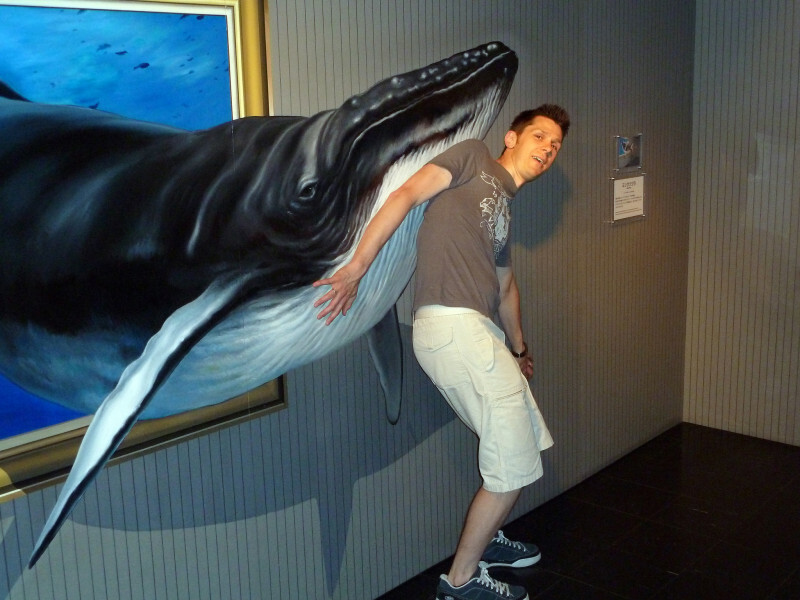 The Tokyo Trick Art Museum features a variety of optical illusion art. The highlight of the museum is to come in contact with the displayed items. 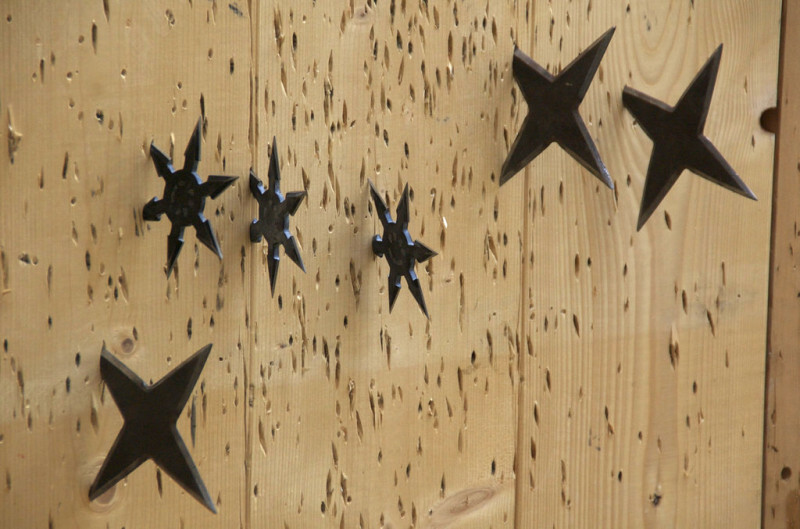 Visitors are encouraged to take pictures together with the works, which can be extremely fun. For example, you can take pictures of yourself coming out of a painting, standing in a monkey’s mouth, walking on water or being swallowed by a shark. A very fun way of spending an afternoon! 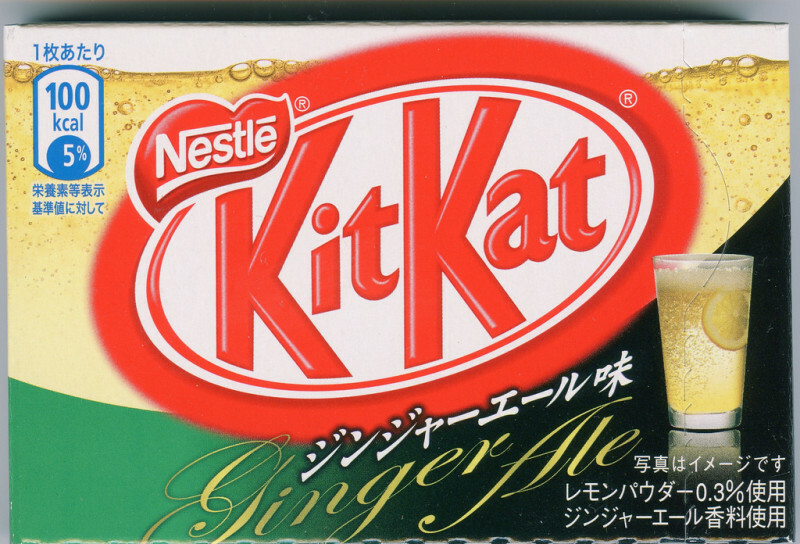 Japan is renowned for making all kinds of sweet products with unusual flavors like ice cream and Kit Kat wafers. The candy can taste like jellyfish, cherry blossoms, seaweed, crab, soy sauce, grilled potato, salty watermelon, apple vinegar, oyster, miso, curry, eel, chicken wing, eggs, octopus, beer and much more. Another crazy thing to experience in Tokyo is eating at The Lock-up prison-themed izakaya in Shibuya. As soon as you arrive you will be escorted to your cell where you can have a meal. The staff is dressed like jail guards and the décor create a perfect scary atmosphere. Cocktails are served in a variety of laboratory related containers. For example, if you choose the Jintai Jiken (human experiment) option, you will be given some laboratory test tubes to mix your own drinks. Definitely a fun experience! Visiting the Parasitological Museum in Meguro is definitely a wacky experience. The museum was created as the private research facility of Dr. Satoru Kamegai. 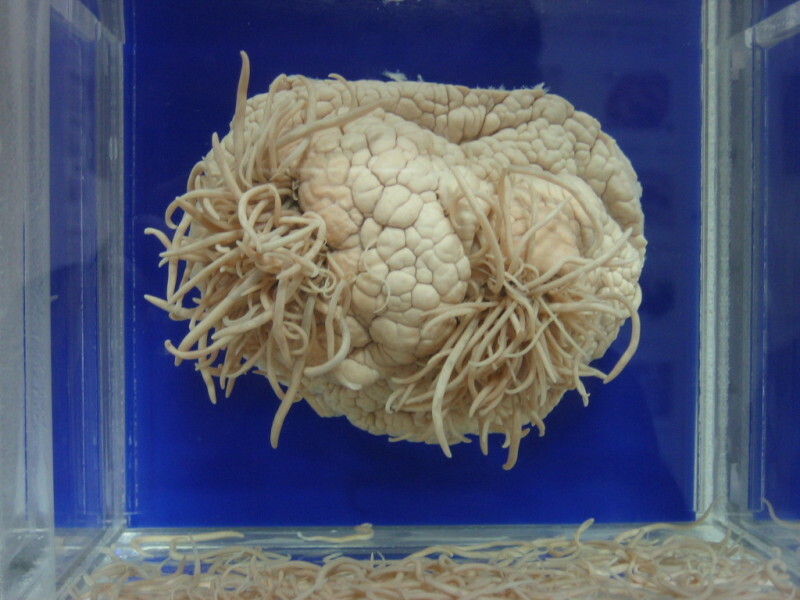 It exhibits about 300 parasite specimens and other related materials. You can see all kinds of parasites you didn’t even know existed! Among the highlights, there is an 8.8m tapeworm which was taken from the body of a man, with a ribbon next to it so you can understand how long it actually is. There is also a shop with parasites related gifts. Zauo Restaurant is Shinjuku is a bit different from usual restaurants. Why? Because you are allowed to catch your own fish and prepare it before eating! There is a big pool inside with various fishes and sea creatures that you can practice your skills on. After catching your desired fish, a chef will help you cook it in the most delicious way! 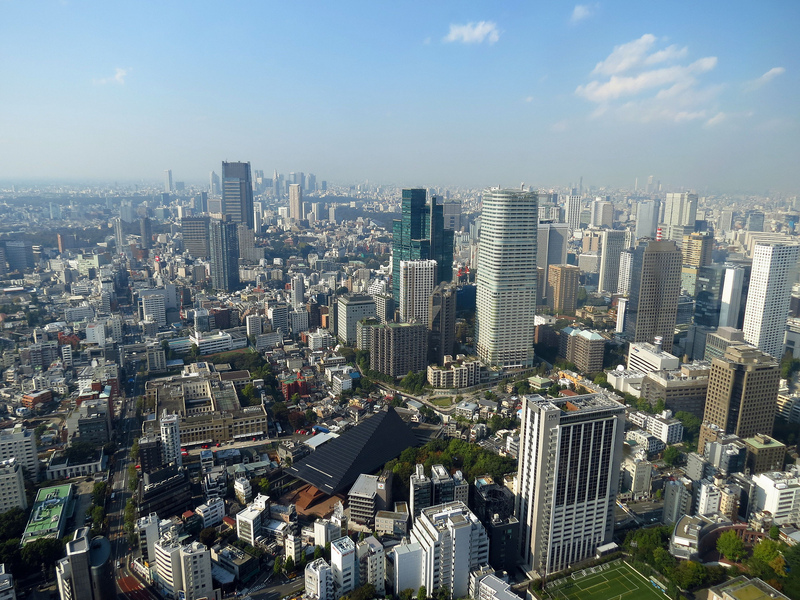 Enjoy crazy Tokyo! Have a good trip and travel!